Multi-award winning brother-sister duo BROODS (Caleb and Georgia Nott) are one of the most celebrated young bands to emerge out of New Zealand in recent times. 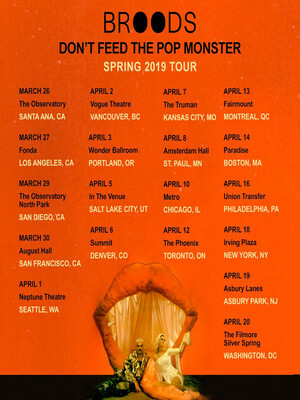 New Zealand duo Broods will head on tour across North America just one month after bringing out their latest album, 'Don't Feed the Pop Monster.' The pair rose to fame after the release of their debut single 'Bridges' which landed on the number eight spot on the New Zealand single chart in 2014. The band has performed worldwide in countries including Canada, Australia, New Zealand and the UK and have supported musicians Taylor Swift, Sam Smith, Ellie Goulding and Haim. Their latest album has been hailed as a project that gets "to the heart of the matter" and "embraces immediate hooks and perceptive lyrics" by NME. 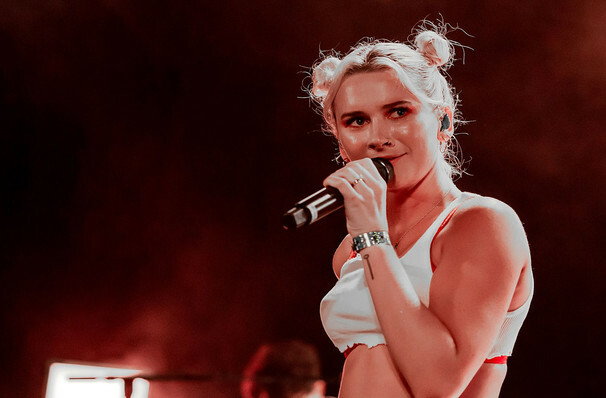 Seen Broods? Loved it? Hated it? Sound good to you? Share this page on social media and let your friends know about Broods at Union Transfer.